You may want to know what Montfortian Administrative Committee (MA-AC) has performed from Aug. 2017 to July 2018. We had all in all 7 meetings, on average one meeting for every 1.7 months. This philosophy is our prime guiding principle: “ A Good preparation is the master of success; an Improvisation of any event leads to failure.” The first two meetings are first and foremost for absorbing suggestions, guidance from senior presidents and previous committee members, designing five administrative committees, choosing their chairpersons and members to execute all of our Monfortian Associates’ Activities, making Annual Activities Plan; and the last 5 meetings for conscientiously implementing and improving the planned activities as well as making deliberations on various arising issues. On average there were 16 MA-AC members attending each meeting; the number of attendees reached 21 - 24 in 4 meetings. We believe in magic of a bigger number : “More Bees are very desirable for a Higher Productivity of a Beehive, and More Workers are Better than a few labors in the Vast Field having lots of Work to Do.” Each meeting lasted on average 3 hours – enough time for discussion resulting in sound and discerning decisions. 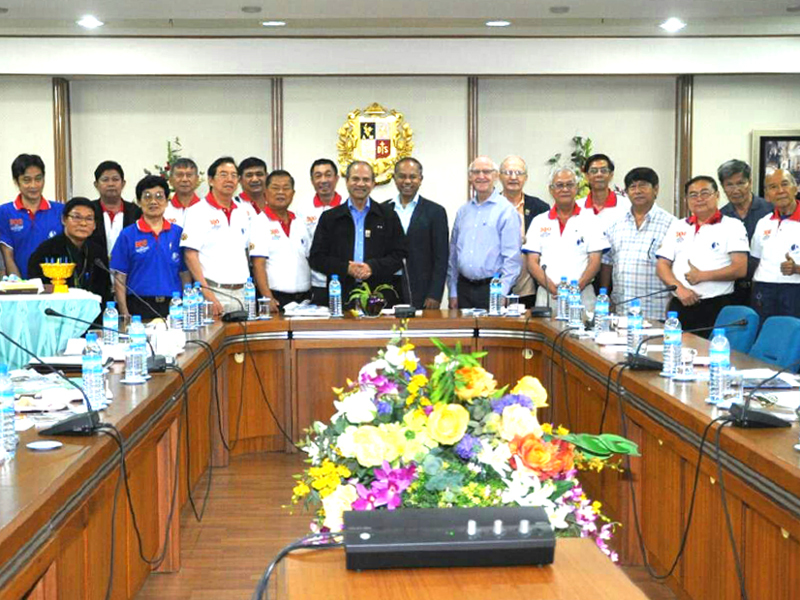 On average, each meeting costs only 845 baht for meals and refreshments. This obviously implies that each meeting, MA-AC spent only 54 baht/person for foods and drinks –“ MAs’ fund is rare and costly, and spending less costs less, minimizing cost is a good solution.” We spent only 5,915.50 baht or 11 % of the given budget (50,000 baht) for the administration and management. We are both frugal in all expenses and also put hearts and souls into Montfortian Associates’ works and responsibilities. What does a man gain for the efforts that he makes? I contemplate the task that God gives mankind to labour at. All that he does is apt for its time; but though he has permitted man to consider time in its wholeness, man cannot comprehend the work of God from beginning to end. I know there is no happiness for man except in pleasure and enjoyment while he lives. And when man eats and drinks and finds happiness in his work; this is a gift from God. Now, it is the time of the Child Jesus who comes to be with us. So, let us rejoice and be glad to accept this good news and proclaim to the world that the Kingdom of God is at hand. With joyful spirit and unceasing gratitude to the Almighty Lord, we shall extend His merciful love and peace to all people of good will. Merry Christmas and Happy New Year 2018 to all. Initiated by the Brothers of St. Gabriel, Province of Thailand, Montfortian Associates (MA) were conceived in 1997 to mobilize those associated with St. Louis de Montfort, whether they are teachers, students, alumni or parents in our schools or those who used to serve as Brothers in the Congregation or once lived in a juniorate and tasted the life of St. Montfort in order to live their layman life in the spirit and charisma of St. Louis de Montfort. The association was basically aimed to do good and charitable to society, especially the poor, needy and the disadvantaged. The first charter was drafted in December 1997 and small gatherings among Brothers, ex-Brothers and former juvenists were informally held every now and then. The formal one was first organized in July 1999 when we celebrated Fr. Montfort's canonization at the Provincial House, where today we have an annual MA gathering. Since then Montfortian Associates were established as an association with a president and executive committee elected by MA for a 2-years' term. During the period of almost two decades of MA, a lot of activities were carried out for the better living standards of our aged MA's. 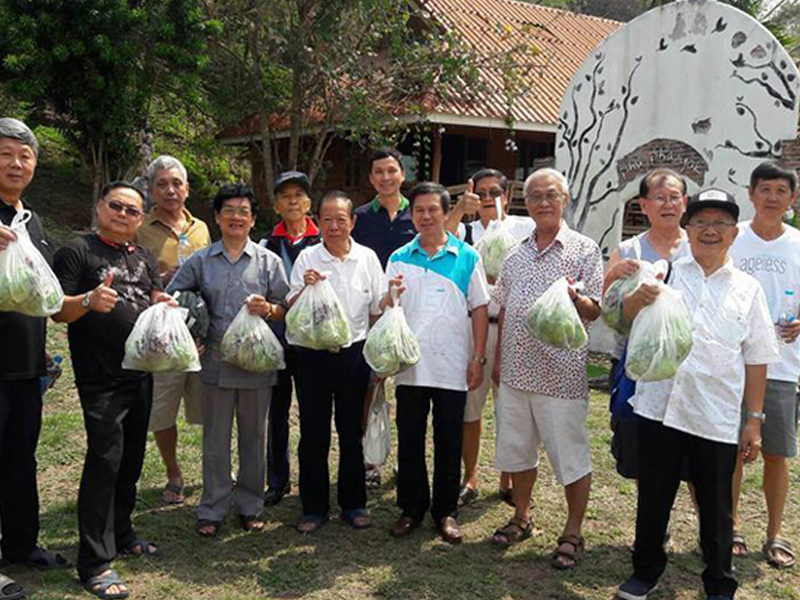 We even extended our generosity to the orphans, elderly at the Home for the old age and other disadvantaged people in addition to moral support to current juvenists, postulants, novices or Brothers and periodical retreats and recollections among MA's or with the Brothers of St. Gabriel in Thailand. Thanks to Fr. Montfort who has led our way of severity and humiliation – No cross what a cross. Thanks to Fr. Montfort who has shown us full dedication to God – God alone.